Although you might not think so, mold growth can still be a problem during the winter. Although you might not think so, mold growth can still be a problem during the winter. Linthicum home and business owners should remain vigilant, doing everything they can prevent a mold infestation in their building. Let’s take a closer at the reasons why mold can thrive, and how to stop it. Because it is so bitterly cold outside, it makes perfect sense to close the windows. Whether we live in Linthicum or elsewhere in Maryland, we want to keep the nasty winter weather out of our homes. But in searching for the latest energy efficiency solution, we might only be encouraging mold growth instead of preventing it. Warmer air trapped inside will foster the growth of both mold and mildew. While a humidifier might be an excellent way to decrease the amount of dry and stale air, you could just be giving a chance for the humidity to increase. Mold is supposed to help recycle dead plant material. Unfortunately, the colder temperatures of fall and winter cause your trees to drop their leaves. As trees and flowers either die or fall into a deep sleep, mold can be released as a result. If your home has a lot of drywall in it, then keep an eye on possible mold growth. Any drywall in a corner can become an unlikely breeding ground for this pest. You need to make sure that every room in your house isn’t too warm or too cold, but is kept consistent. This precaution is especially crucial for your basement and attic – two places where mold can lurk. Constant vigilance is one of best ways to avoid a mold infestation making your Linthicum home uninhabitable. Luckily, we have a few easy tips for you to try in your ongoing efforts to curb mold growth. Make sure the humidity levels aren’t set too high. Humid air might feel like a relief, especially if dryness makes you uncomfortable, but it could end up doing more harm than good. For best results, set indoor humidity levels to be somewhere between 35% and 45%, but don’t put it higher than 60%. Use a dehumidifier in any room that you suspect could be too humid. Don’t let water collect in the condensation pans attached to humidifiers. 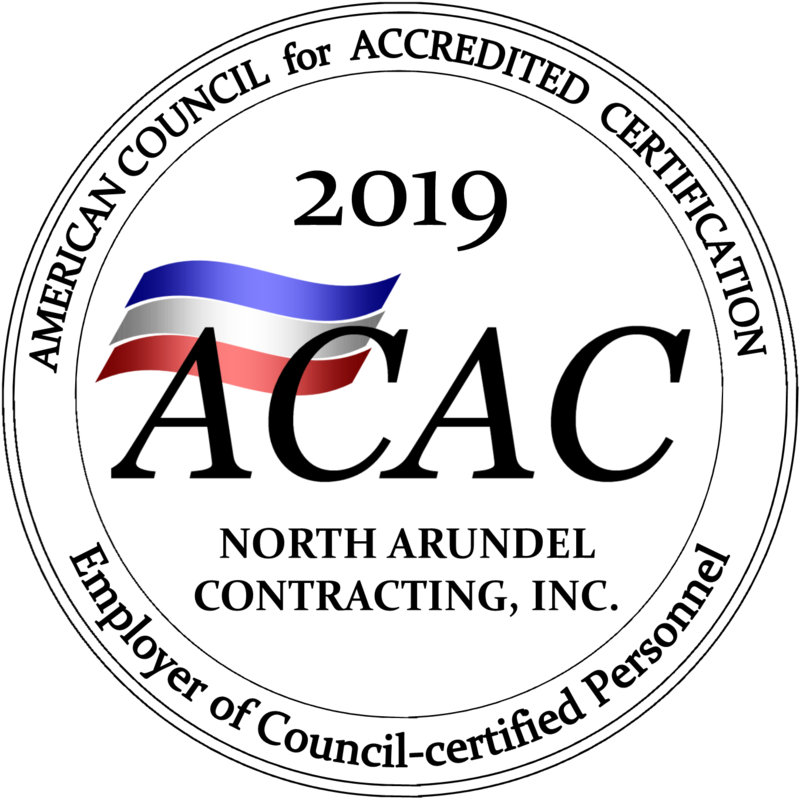 MOLD REMEDIATION SERVICES IN LINTHICUM AND BEYOND FROM NORTH ARUNDEL CONTRACTING! This entry was posted on Friday, January 12th, 2018 at 12:57 pm. Both comments and pings are currently closed.